The Portugal Masters is one of the European Tour's most popular events attracting large crows and a stella playing field. 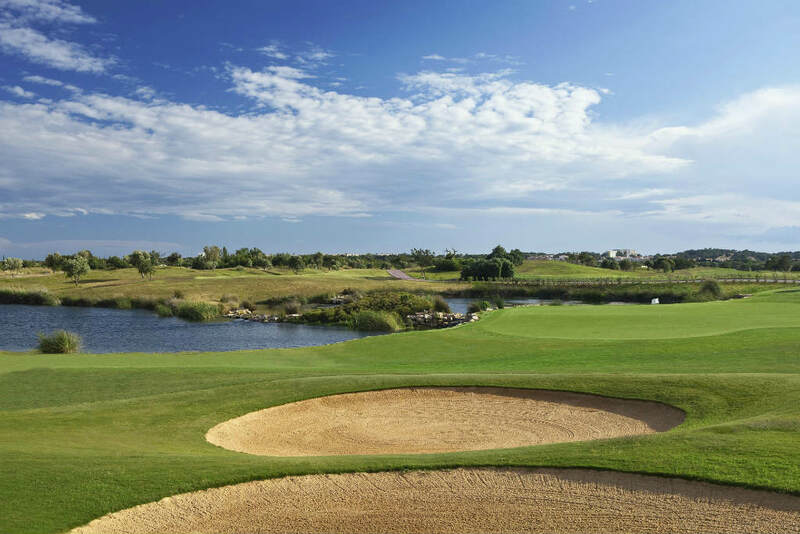 For many years, the event has been played at The Dom Pedro Victoria Course, a popular favourite amongst YGT customers. If you are planning a golf holiday to the Algarve this september, why not enjoy a couple of days at the Portugal Masters and enjoy watching some of the finest golf on the European Tour. The Algarve is one of our top golf holiday destinations and each year we send 100's of golfers to this beautiful region. Be sure to get in touch with Your Golf Travel and we can get the ball rolling for your 2019 Portugal Masters golf holiday. Want to play the Dom Pedro Victoria Course? The first ever Portugal Masters was hosted in 2007 and won by England's Steve Webster with a score of 25 under, which is to date the biggest winning score for the event. There is a prize fund of €2 million aking It is the richest golf tournament in Portugal and is jointly hosted by the European Tour and and the Portuguese Tourist Board. Wed, 23/10/2019 at 8:00 a.m. Wed, 23/10/2019 at 7:00 p.m.
Thu, 24/10/2019 at 8:00 a.m.
Thu, 24/10/2019 at 7:00 p.m.
Fri, 25/10/2019 at 8:00 a.m.
Fri, 25/10/2019 at 7:00 p.m. Sat, 26/10/2019 at 8:00 a.m. 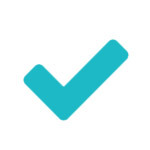 Sat, 26/10/2019 at 7:00 p.m.
Sun, 27/10/2019 at 8:00 a.m.
Sun, 27/10/2019 at 7:00 p.m. 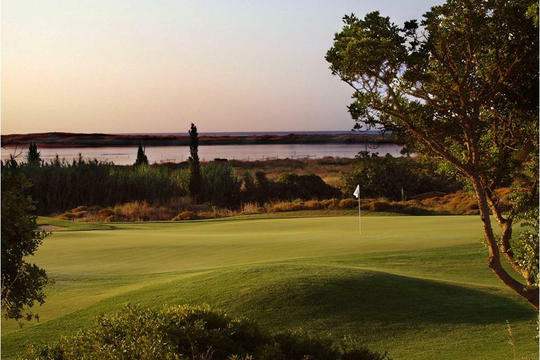 The Victoria Course is part of Oceânico's very impressive collection of golf in the Algarve, with a core in Vilamoura. 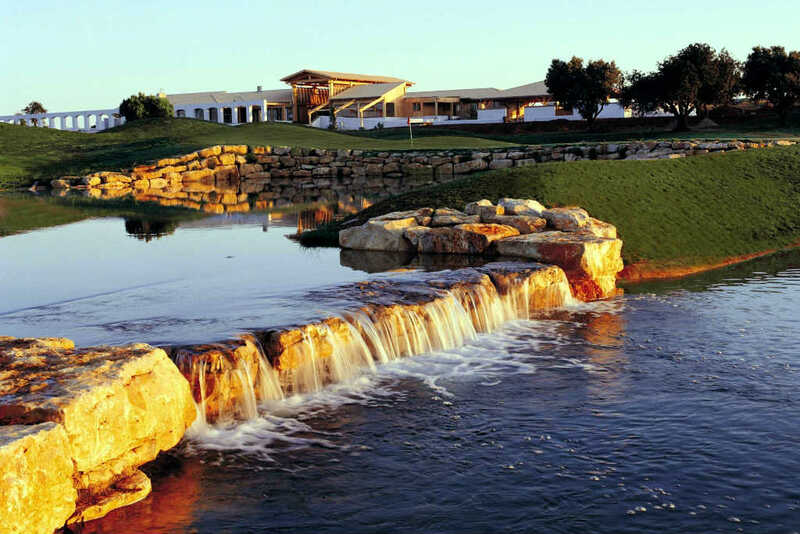 The Arnold Palmer design is purpose-built for tournament quality golf and while the paying public have access 51 weeks in the year, it is during Portugal Masters week that we really see Arnie's layout set up as it is meant to be. At 7,273 yards, the Victoria is a substantial proposition but the standard of the professional field has resulted in winning scores as low as -25 in the event's recent history. Huge expanses of water dictate the routing of the course, which is dotted with lots of native trees and vegetation. 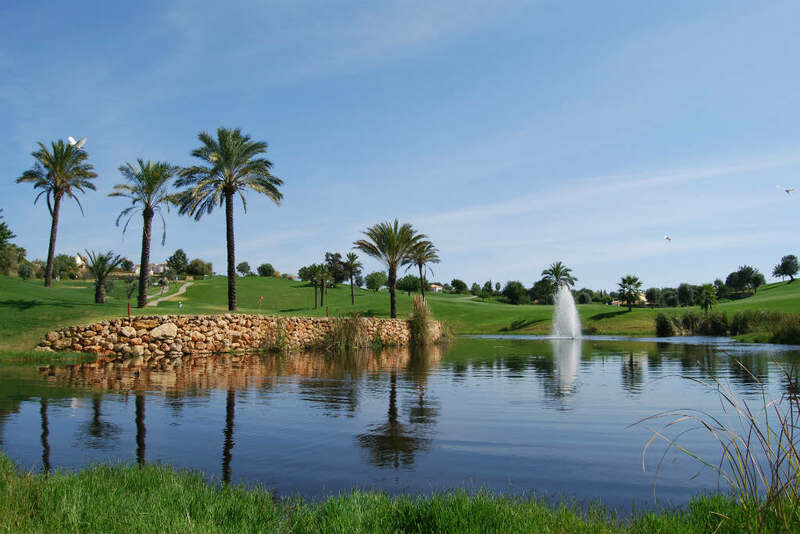 The course and clubhouse are located next to the Tivoli Victoria Resort & Spa on the outskirts of Vilamoura and just a short drive from the marina. Come October, the summer season is almost over for Portugal's most popular golfing destination. 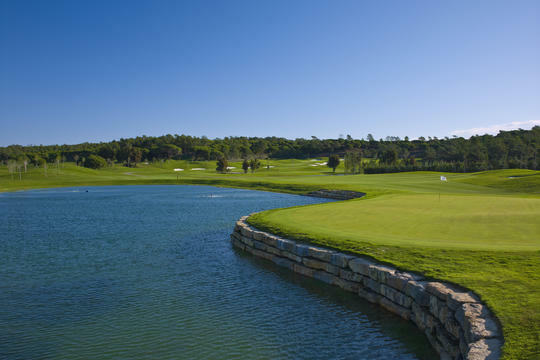 The average temperature for Vilamoura is 19 C with highs of 23 C, definitely still warm enough for shorts on the course. If you enjoy heading to the beach and fancy a casual swim, october is definitely the time; with the sea temperature reaching up to an incredible high of 20 C. There is only a 25% chance of rain, so maybe it's best to carry an umbrella just in case. Dom Pedro Victoria is only a 30 minute drive from Faro International Airport with daily flights to all major UK cities (Flight time: 2 hrs 50 mins). Taxi's are available from Faro and cost around €27 to Vilamoura. 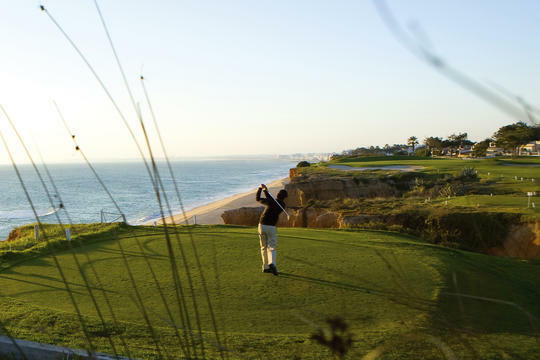 The dozens of golf courses strung along the wonderful Algarve have made Portugal's southern shores a golfing mecca and with new and renovated courses being unveiled in recent years, the quality is better than ever. Choose to join us at the Portugal Masters this year and you'll have the chance to tackle a few of our recommended Algarve courses. 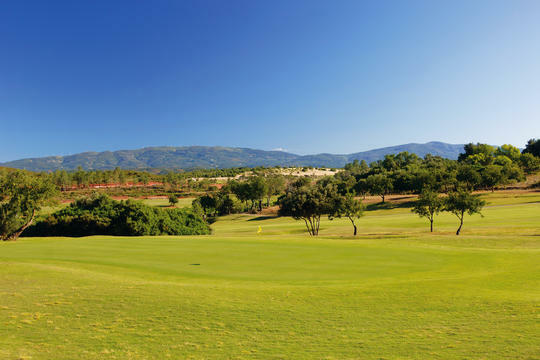 Situated just a stones throw from the nearby town of Silves, Amendoeira is surrounded by some of the finest courses in the country with the Faldo and O'connor course on site. The resort is set in an area of natural beauty too with over 500 species of birds. Arguably the pride of Portuguese golf, Quinta Do Lago boasts 3 fantastic championship courses in Laranjal, South and North Courses. 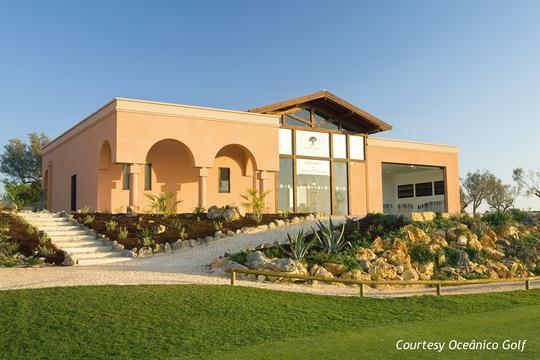 The resort is also home to a Paul McGinley golf academy, perfect for honing your skills pre round. Away from the golf, the resort is nearby to several sports facilities, restaurants and shopping centres. 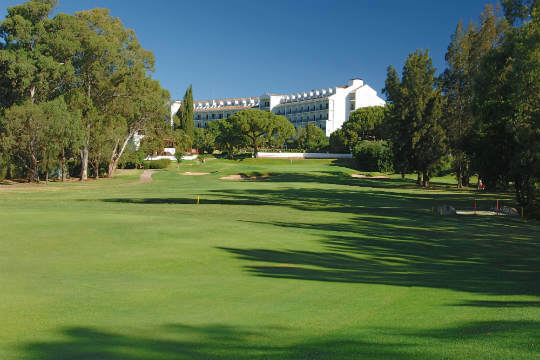 Vale Do Lobo's two award winning championship layouts make it one of the Algarves most sought after golf destinations. Both the Royal and Ocean course give an excellent blend of parkland and links golf, with the former being home to the breathtaking cliff top 16th par 3, possibly the signature hole of the whole of the Algarve. Located just outside the historic town of Lagos, Onyria Palmares offers breathtaking views over the Meditterean Sea. 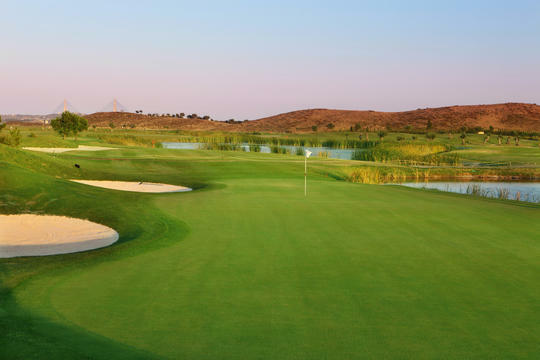 The Robert Trent Jones designed course has a distinct Links feel and its maintained standards throughout its 27 holes, make it one of the jewells in the Algarve. Despite only being inaugrated in 2007, Monte Rei has quickly established itself as one of the Algarve's finest courses. 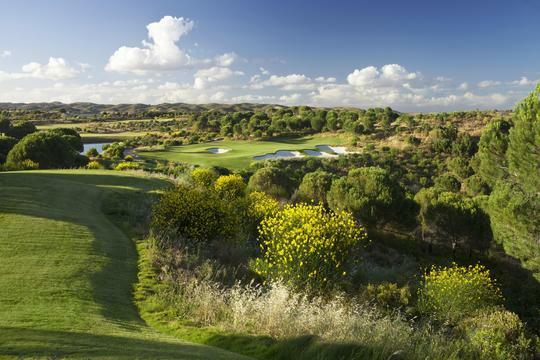 The Jack Nicklaus designed course utilises the natural surroundings to great effect, making for a dramatic round. Accomadation is comprised of three bedroom villas, each with a large kitchen and lounge in traditional portuguese style. With 3 fantastic golf courses and exceptional facilities across the 360 acre resort, Penina stands as not only one of the Algarve's best resorts, but Europe's too. 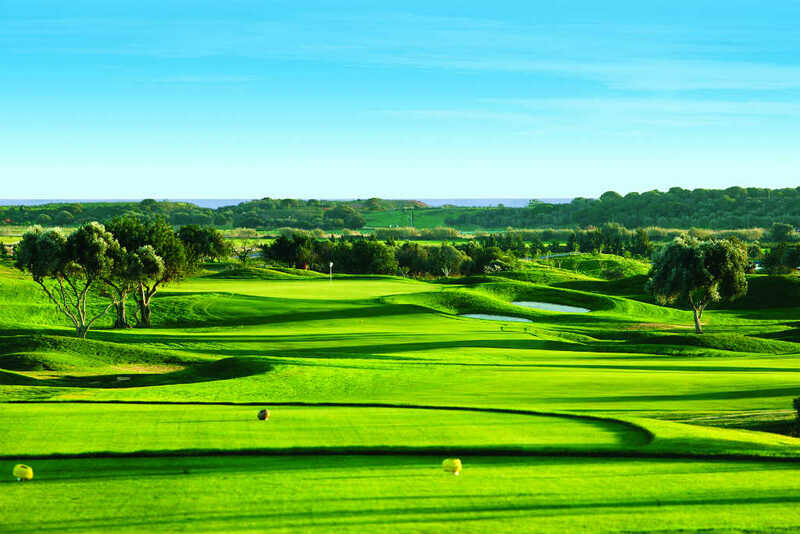 The resort has hosted the Portuguese Open some 11 times and has certainly stood the test of time too with it's 1966 Sir Henry Cotton designed Championship course being the first ever in the Algarve. 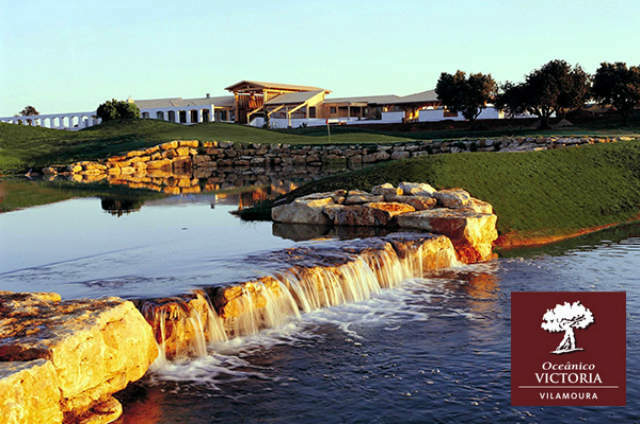 Opened in 2003, Morgado is quickly becoming a premier golfing destination in the Algarve. The resort combines mountain views with a mature portuguese countrside, making for a memorable round. At 7300 yards and with natural undulations and strategically placed bunkers, the golfer is sure to enjoy a challenging yet enjoyable test of golf. 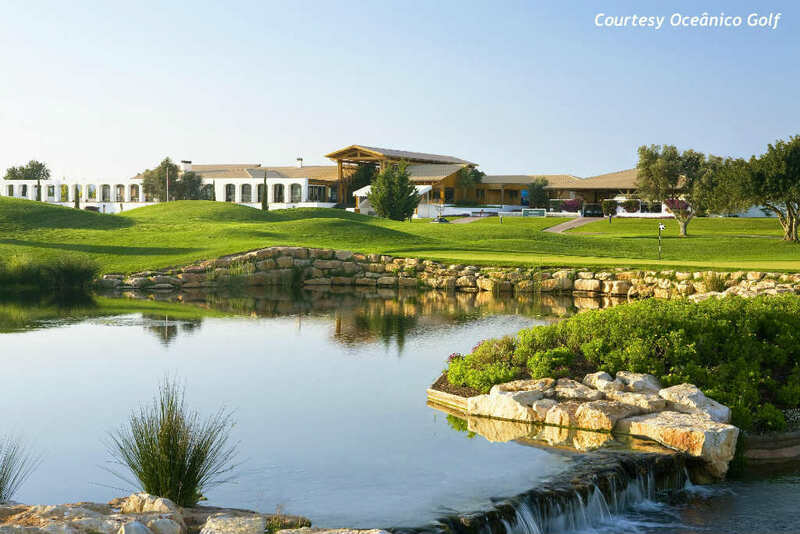 Designed by the great Seve Ballesteros, Quinta do Vale offers picturesque views of the Guadalmina River throughout. Opened in 2003, the spectacular modern layout does not follow a traditional course format either, with 6 par 5's, 6 par 4's and 6 par 3's. However, this should come to no surprise considering its designer! Situated within the Salgados resort and overlooking the beach. Choose accommodation on an all-inclusive basis to enjoy all your food and drink included. 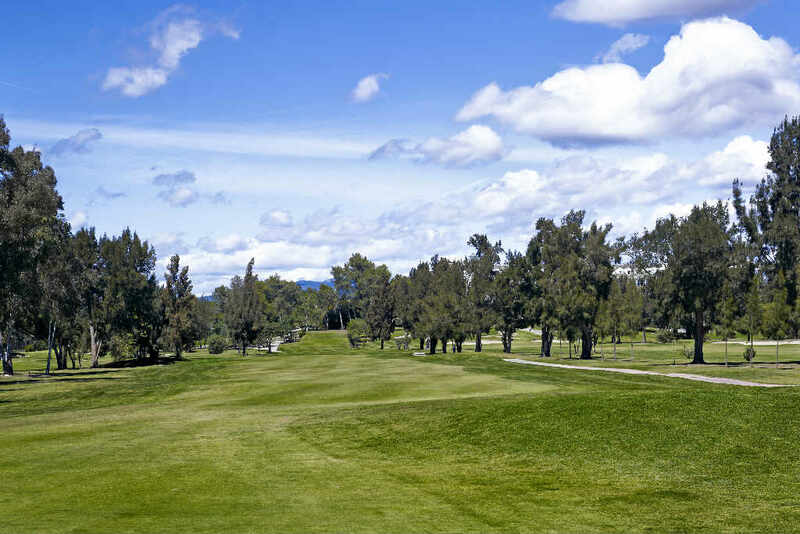 Play golf at Herdade dos Salgados (on-site), Alamos or Morgado do Reguengo courses (both 25 minutes away). Salgados Palm Village is located a short taxi ride from Albufeira, the popular tourist hub of the Algarve. On the bustling Albufeira Strip you'll find countless bars and restaurants – try Mickey Boon's or Sultan Bar for a few cold Super Bocks – or dance the night away at the Kiss Club. Outstanding self-catered accommodation with five championship courses to choose from - the Vale da Pinta and Gramacho are on site, while the Silves and Alto courses are just 15 minutes away. 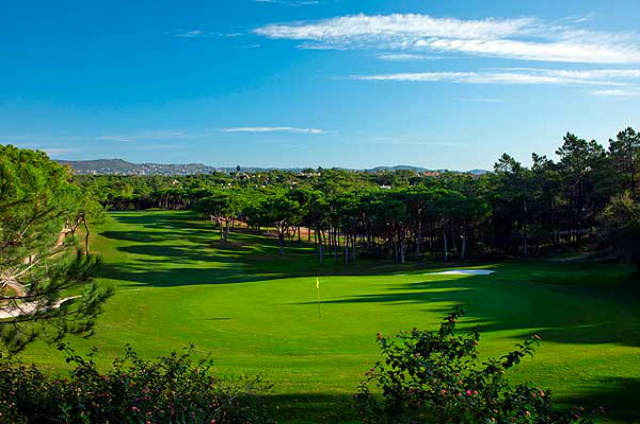 For a boutique golfing experience, take the 40 minute drive to Vila Sol, a previous host of the Portuguese Open. Accommodation packages at Pestana Carvoeiro include unlimited golf at any of the five courses, the only resort in Europe to offer such a treat! Nearby Carvoeiro is a delightful local town filled with restaurants serving freshly caught fish and seafood. If you're making a night of it, head to either Mungo's Bar or Harry's Bar. A classic Portuguese resort which is home to five restaurants and two bars, plus the first golf course built in the Algarve. Penina's Championship Course is an absolute gem, having played host to the Portuguese Open on 11 occasions, while the accompanying Resort and Academy courses make it the perfect venue for any standard of golfer. 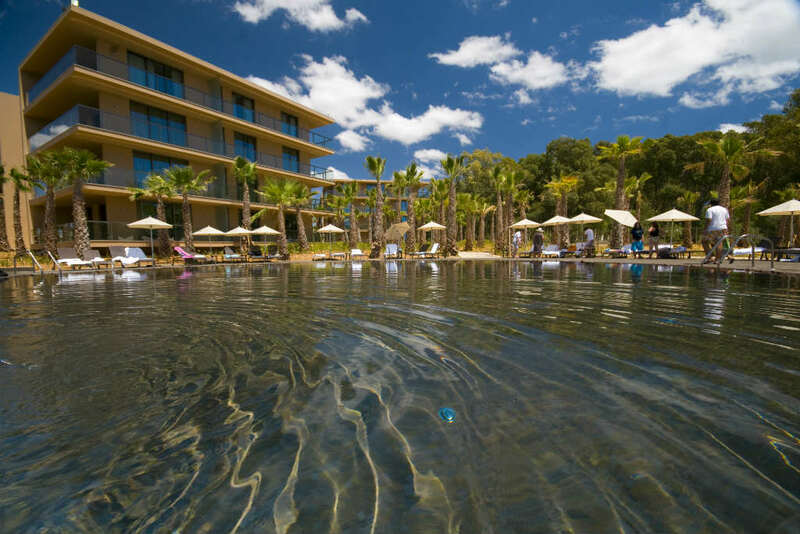 Quiet and luxurious hotel situated on the outstanding 36-hole Morgado and Alamos golf complex. 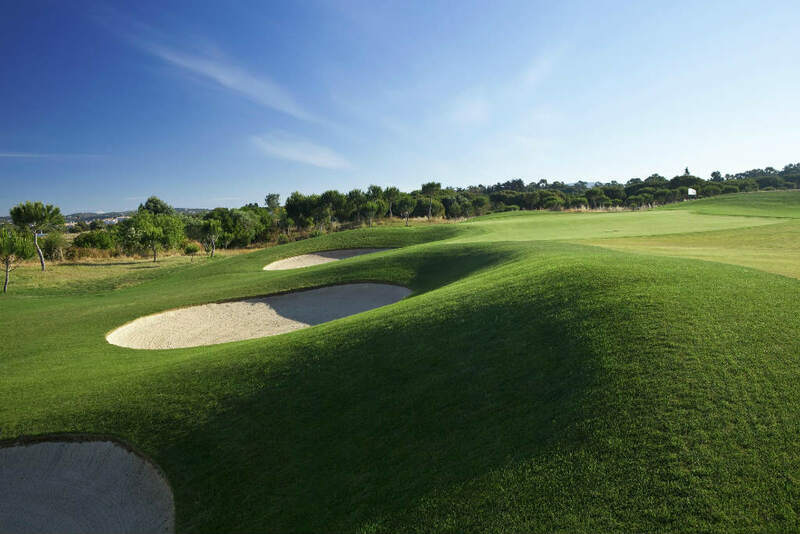 Set amongst olive trees and vineyards between Portimao's beaches and the picturesque Monchique Mountains, this is a simply stunning venue for golf. The coastal town of Alvor is just a short drive from both Penina and Morgado. Here you'll find great beaches and a handful of terrific local eateries. Reccula Restaurant is regarded as one of the best in the Algarve, serving mouth-watering Portuguese dishes with an international twist. For a truly unforgettable experience, head to the Caniço Restaurant – an amazing beach bar which is actually built into the cliffs overlooking a cove. Enjoy a romantic dinner by sunset, or head down at dark when a DJ provides tunes for some moonlit dancing on the sands. The Dom Pedro Victoria course is situated a 10 minute drive from the Vilamoura Marina, the main centre of activity in Vilamoura. The marina is filled with million-pound yachts and is lined with elegant bars and Portuguese restaurants, all of which should be absolutely buzzing during tournament week. Figo's Bar and O'Shea's Irish Pub are recommended stops for some evening fun, or perhaps try your luck at the Vilamoura Casino, which in addition to the usual table games and slots, features regular evening entertainment.